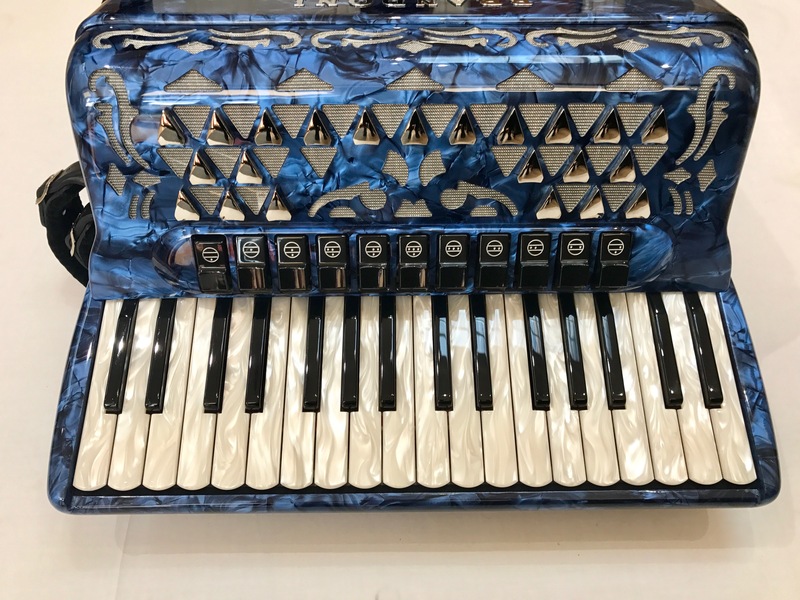 This top quality Brandoni 96 Bass Compact Accordion from the Brandoni factory in the Italian town of Castalfidardo, features a compact 96 bass 34 key body and a four voice musette tuning, making the accordion ideal for the French and Scottish styles of playing, and is perfect for all levels of player. 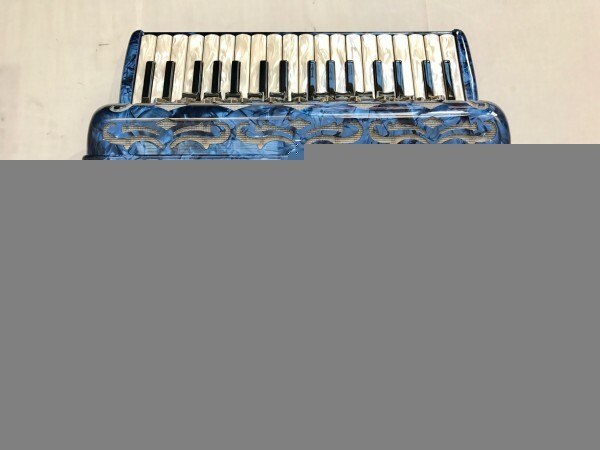 A double octave tuning, which would be more suitable for classical or jazz, is also available on request. 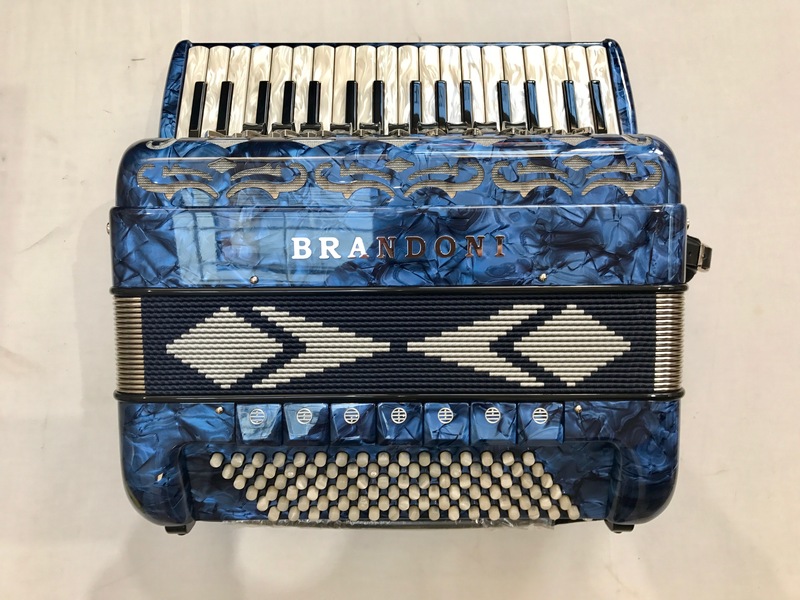 As with all Brandoni’s, this instrument boasts an extremely fast action, and is finished in a stunning blue and gold casework. 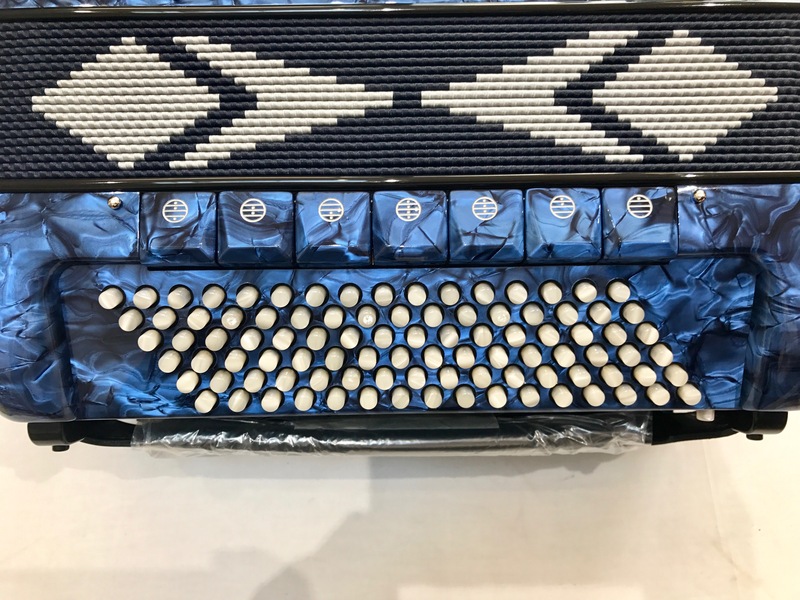 Complete with case and straps and 5 year component parts guarantee. 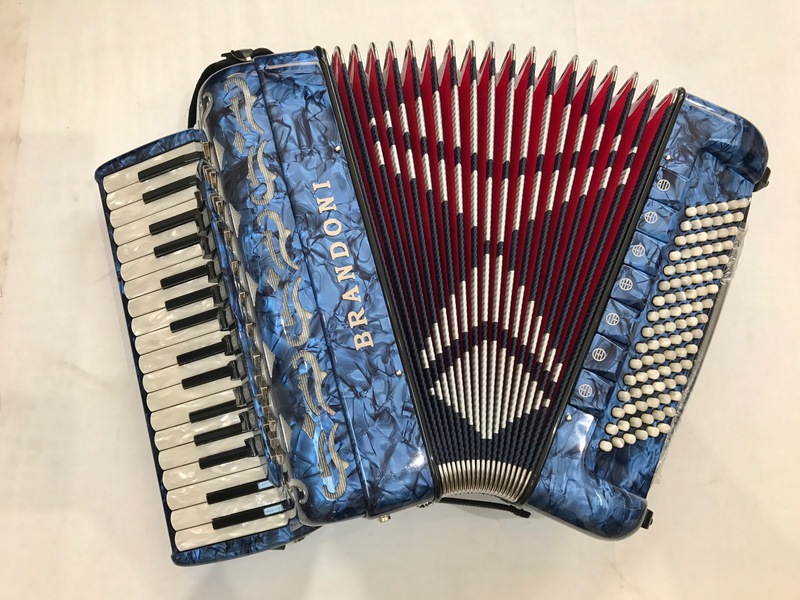 Don’t forget, free delivery of this Brandoni 96 Bass Compact Accordion to most parts of mainland UK is included! Weight: 9.53 Kg. - 21.8 Lbs.